In another life I think I like to think I was a 1950s Italian glamourpuss. Think Sofia Loren. All big hair, immaculate grooming and cat eye sunglasses. I would have ridden a scooter around Lake Como stopping off to admire the views over a glass or two of prosecco before jumping in my classic wooden speedboat for dinner in Bellagio. So I just had to try to live out this fantasy on our family trip to Lake Como. In the end it wasn’t that difficult. Lake Como oozes glamour and you soak it up easily. Even if you don’t have Sophia Loren’s hair. 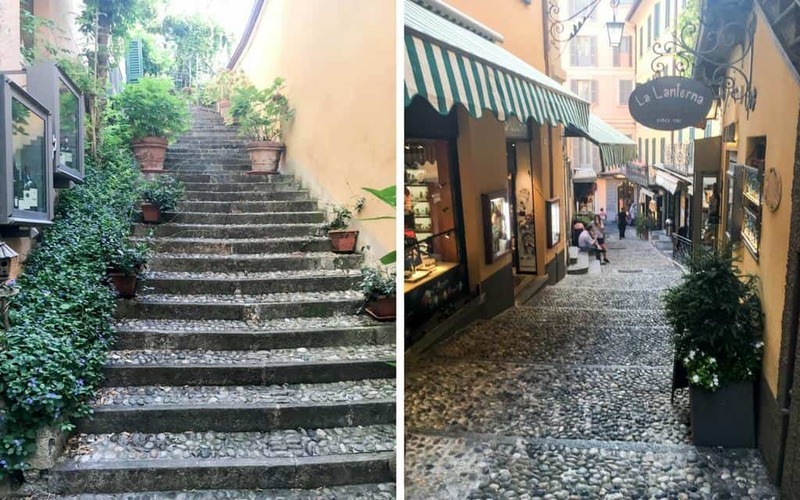 Here is how to get your glam on when you visit Lake Como Italy. When you visit Lake Como you are mesmerised by the natural landscape. The lake’s shimmering waters cover 146 square kilometres and forms the shape of an upside down ‘Y’. Forming a dramatic backdrop to the lake, the Italian Alps rise majestically in the distance. This region has been the playground of the aristocracy since Roman times, although George Clooney put it on the map more recently. People come to Como for its (relative) quiet seclusion, natural beauty and easy way of life. We loved Villa Carlotta with its small collection of restored rooms and much larger and diverse gardens. Explore the 17th century villa and enjoy the views from the balcony of boats darting across the lake from town to town. You could spend hours in the gardens enjoying the various ‘rooms’ or sections. There are formal and organic spaces created over 70,000 square metres to explore. Villa Carlotta is open daily from March to October and on selected days during the winter. Adult admission is €10 and children under 6 visit for free. A famous movie location, this elegant villa starred in the movies Casino Royale and Star Wars: Episode II – Attack of the Clones. If you were looking to splurge and take your glamourpussing to new heights then Villa D’Este would be the place I would choose to stay. The luxury hotel is also home to several bars and restaurants with spectacular views over the lake. I absolutely covet this experience and unfortunately this time it was not to be. Take a 2 hour or half day tour of the major sites in a classic wooden topped speedboat and you are bound to feel instantly glamorous. If you have an active imagination and a smaller budget ride the many ferries that connect Lake Como’s pretty towns. Just add scarf and shades and stand on the deck of the boat in awe of the beauty that surrounds you. Taxi Boat Varenna day tours were recommended to us by the host at the apartment where we stayed. We saw the boats out on the water and they looked so sleek and elegant. Ferries depart from various towns along the lake throughout the day. The main ports are Como, Bellagio and Mennagio – visit the local ferry operator for timetables and more information. I defy anyone, even the most hardened and grumpy of souls, to not be entranced watching the sun edge its way down over the horizon, behind the alps. We saw a few sunsets on the days we visited but none matched the rose hued beauty of the sun descending behind the mountains from Bellagio. Como is a thriving city and we browsed several stores selling beautiful homewares and fashion. You will also find local produce stores with a variety of specialties from the Lombardy region. A carefully chosen accessory always helps me feel more glamorous. Bellagioseta in Bellagio is world famous for its selection of silk scarves, ties and leather goods. Sophia Loren famously said “Everything you see I owe to spaghetti”. Far be it for me to argue with the great actress. If you are looking for an amazing meal in Lake Como attend the local food festival. Apart from enjoying a delicious meal you will notice that the people of the city are dressed to impress. Take the funicular railway from Como to the hillside town of Brutante for wonderful views of the lake and the city of Como. The trains leave every 15-20 minutes and cost around €5 for an adult return. At the top of the hill enjoy the views over a coffee or take a stroll around the town or on some of the local walks. Simply cruising around the lake either by boat or car or both feels glamorous. In an area blessed with so many pretty places some of the towns we visited stood out as my favourite. With a slightly more rustic feel than its sophisticated neighbours Brienno rests quietly on its considerable charms. The views across to Bellagio are divine and the houses that linesteep cobbled lanes that rise up the hillside offer fleeting glimpses of the lake below. The sun descended slowly over the shimmering lake, light reflecting off the mountains in an ethereal haze. I think I took over 100 photos after pausing to enjoy the moment. Possibly the most famous of the towns on Lake Como’s shores, Bellagio captured me at sunset. After browsing the chic boutiques along the towns steep cobbled streets we sat on a bench and watched the sun set taking in the scent of colourful blooms and the passing parade of couples holding hands. A friendly waiter ushered us to our table with a view and organised the children’s pasta so we could relax and enjoy the spectacle. I will remember this dinner forever. We were laughing and smiling, the view was incredible and our meals delicious. If your idea of heaven is a medieval town full of colourful buildings perched upon a lake then you will no doubt fall in love with Varenna as I did. Away from the hustle and bustle of Como and Bellagio, Varenna reminded me of the secluded beauty of Lake Orta. A lakeside promenade winds around the shore leading to a pretty square off which climb stone alleyways hiding boutiques and gelaterie. When I return to Lake Como I would like to stay in Varenna. Como is a short train ride or drive from Milan. Catch the express train from Milano Centrale you can be enjoying the fresh lake air in around half an hour. For that reason, many tour companies offer a day trip to Como from Milan and this is a good option if you are short on time. If you have a little more time, hire a car and make the most of the smaller towns on the lake. Not keen on driving in Italy? Check out my guide on tips to driving in Italy to build your confidence. It’s really not as hair raising as you would think. Even if you don’t drive you can catch the ferries from town to town. This is much slower but who cares! It’s the Italian lakes. We chose to stay in Como town as we wanted to do a day trip to nearby Switzerland and tour the lake from a central base. Como is a thriving and living city, not simply a tourist town. It has several significant buildings including the magnificent duomo or cathedral decorated in the gothic style. I loved pretty Piazza Cavour where restaurants spill into the square and children play while their parents sip wine. I like to think I am becoming quite the expert on picking great vacation rental properties and our apartment in Como was among the best we have stayed in. Built on ancient foundations, the huge newly renovated two bedroom apartment was in the centre of town within walking distance of the lake, the Duomo and a wonderful gelato shop. Beautifully decorated with local touches I also loved the history of the building. Original Roman remains are integrated into its structure. You can see these from the pretty secret garden the apartment is named for. Our welcoming host Alessandra was so kind and patient, taking the time to tell us about the local attractions and helping us find a secure car spot. It seems we were not the only guests to find the property appealing. You can book the apartment and read more reviews on Booking.com and Tripadvisor. Lately I have spent a lot of time day dreaming and researching our return to this beautiful part of Italy. 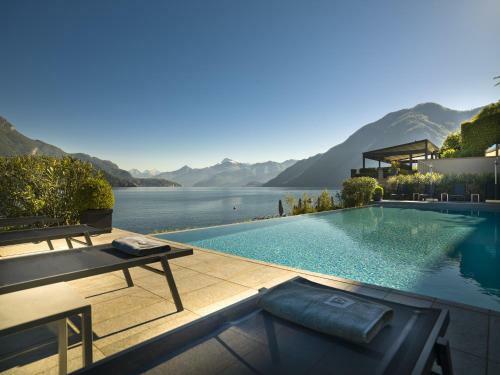 Here are some of the places I think are the best hotels in the best towns to stay in Lake Como. A short stroll from Villa Carlotta, the wonderful Rodrigo Restaurant has been serving patrons classic Italian dishes and local specialties since the 1920s. In its heyday the restaurant was renowned for its opulent style but these days I can heartily recommend the pizza. We feasted on the freshest fish at this elegant restaurant overlooking the city of Como’s shoreline. Our children were spoiled by the attentive waiters who made sure, in wonderful Italian fashion, that they were fed first so we could enjoy our meal. Perched above the gentle lapping waters of Lake Como we had one of our most memorable meals of the year at the terrace restaurant of Hotel Metropole Bellagio. Fantastic food and service were only eclipsed, quite unfairly, by the sunset spectacle across the lake. We recommend the caprese salad and truffle linguine. I sat outside this gelateria with my son one evening and we bonded over a mutual love for gelato. He announced that his favourite flavour is mint and I thought that was quite sophisticated for an almost three year old. Gelateria Lariana meets all my criteria for great gelato and I can recommend trying the bacio, lemon and of course mint flavours. 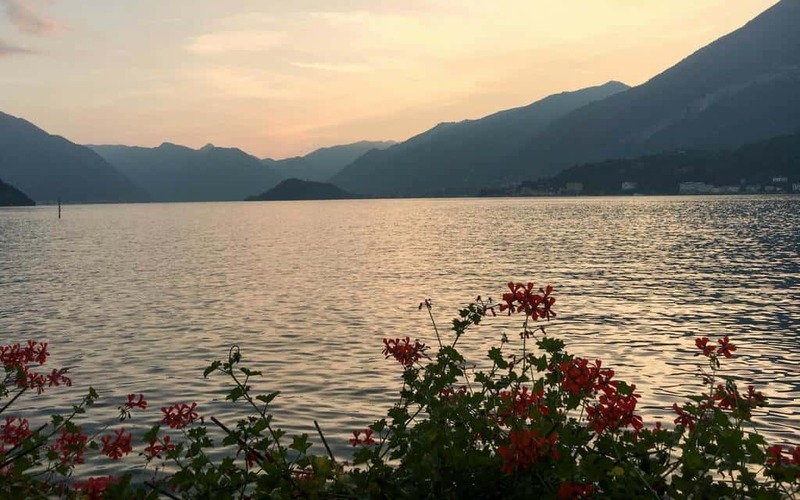 Lake Como is a wonderfully glamorous place, even if you are travelling with a couple of almost three year olds, and should definitely be included in your travel plans for Italy. Most days I don’t feel like I ooze glamour but I certainly felt it on our visit to this most classic of Italian lakes during the last days of summer. And wouldn’t you know, Sophia Loren has a property on its shores. I hope you liked our Lake Como travel guide. Have you visited Lake Como? How glamorous was your experience? Disclosure: This post contains affiliate links. This means I may receive a small commission if you click these links and choose to make a purchase. There will be no additional cost to you. As always, all thoughts and opinions are my own based on personal experience. You can read more about our affiliate policy on our disclosure page. Haha yes.. although shopping in Milan is a bit of a dream of mine. Without kids – of course! I like to think I am Anna Magnani when I am in Italy! Beautiful photos, what a lovely place to visit. Well you could do a lot worse than Anna Magnani Oonagh. What a brilliant actress! Oh Clare you are so lovely but I think you need your eyes checked! I am sure your glamour loving boys would enjoy it immensely. I forgot to mention all the prestige cars we saw! Some years ago we had a fabulous family holiday in Lake Garda and ever since I’ve been wondering about trying Lake Como. Some great info here and I think it would be perfect for us as a couple now my son has left home. I’ll remember my scarves and shades and attempt to be a glamourpuss! I think Lake Como would be a lovely couples escape Trish. I would stay in Varenna if we were doing that trip. 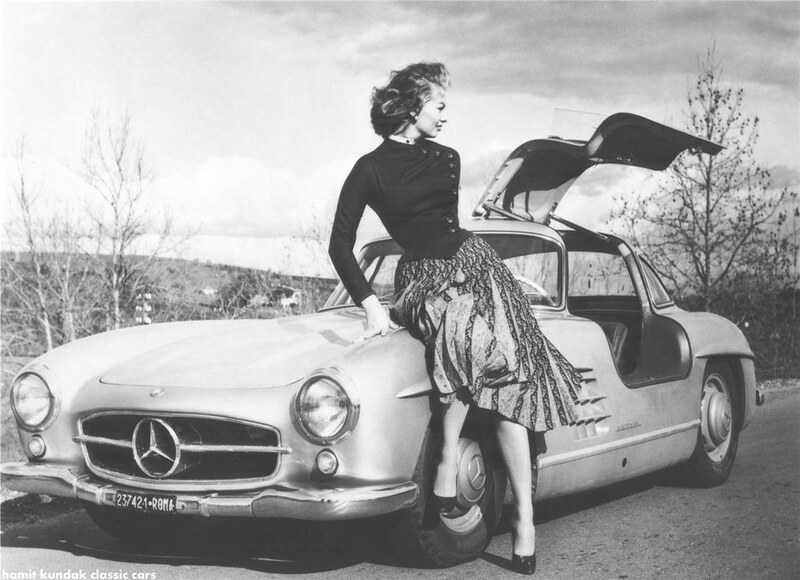 You look wonderful perched on the bonnet of that Mercedes! Why thank you… I WISH!! You seem glamorous to me Phoebe. Your Côte D’Azure lifestyle seems so elegant compared to my jeans and jumper London life! Como is a bit more built up than how I remember Garda. Next time we go I think I’ll stay on Lake Orta and do day trips.. I may be on the Côte d’Azur Katy but I’m wearing jeans and jumpers too! Wow, that was quite a journey. 🙂 For us is Como much closer – by car it would take us only two hours and half. I think you would fit right in Cathy. Anywhere in Italy is great for kids in my opinion. There are always playgrounds and all the restaurants we go to there just swing into kid action as soon as you arrive and make sure they are comfortable and happy so you can enjoy a prosecco or two. I’ve never visited Lake Como before, but I imagine it to be a place where you can rub shoulders with the rich and famous, or at least pretend to be in a movie. You accommodation sounds like a real winner, and those sunset views at dinner by the lake seem magical. What an experience! It was so lovely Ali. Dreaming of it now in this cold London winter! I fell in love with Italy at Lake Garda.. love it! Oh Addie, I hope you do make it there. My advice would be to pick two places and really enjoy them. There’s a temptation to fit everything into one trip but there is so much to explore and just chill out and enjoy. Thank you! I cannot stop eating in Italy.. it’s a problem! ? Thanks Kat. It was a lovely apartment and I think the price was very reasonable given the space and central location. I can see why you would say that but I found everything quite relaxed – especially Varenna. I don’t think I can be objective about Italy though. Even the average experiences there are a cut above everywhere else to me! Love it Erin. I’m so glad my backpacking days are over. Yes they were fun but I cant even face a ham sandwich to this day as I think it is all I ate when I toured Europe in my 20s. Lake Como definitely requires a bit of budget! Ooh lucky you Melissa! I loved Lake Garda and its pretty medieval towns when I visited many years ago. I haven’t been to Maggiore but we did stop by Lake Orta on our way to Como and it is nothing short of magical. I have wanted to visit Lake Como and Bellagio for a while now, and that boat cruise sounds very tempting. Lake Como has been on my list forever, the closest I’ve got was seeing the lake whilst passing through on the train to Milan. You’ve sure wet my appetite to move this place higher up my growing list, thank you. Loved the pic and quote from Sophia Loren, nice touch. I think Villa D’Este is one for a cheeky parents getaway.. or a girls weekend! Yep! I think you’re right! Hi Katy, thank you for bringing Lake Como to us. 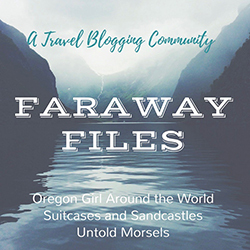 It is my dream to visit there one day, I have read about it time and time again and the next thing is that am not going to read about it, I am going to write about my dream that came true. I cannot wait to visit such place. I visited Como last year with Mrs Wilbur and we loved it. We took the train from Verona, did a great boat trip across the lake and also up the funicular before training to Tirano after two nights. I would like to go back and visit Bellagio & Varenna like you did either by boat or train. Great post with lots of glamour. Capri or Venice next? Wilbur. Do you happen to know what tour company does these tours below? I can’t find one after trying to research. I want to see as much of the lake as possible on our one full day there on Monday, July 3, 2017. Hi Sara, I haven’t used them personally but this company has the boats I mentioned. https://www.comoclassicboats.com/ Enjoy your time on Lake Como!